Birthday Bash with Entenmann’s Little Bites! You guys know that we love to celebrate around here. So, we jumped right on board to celebrate Entenmann’s® Little Bites® 20th Birthday Bash. 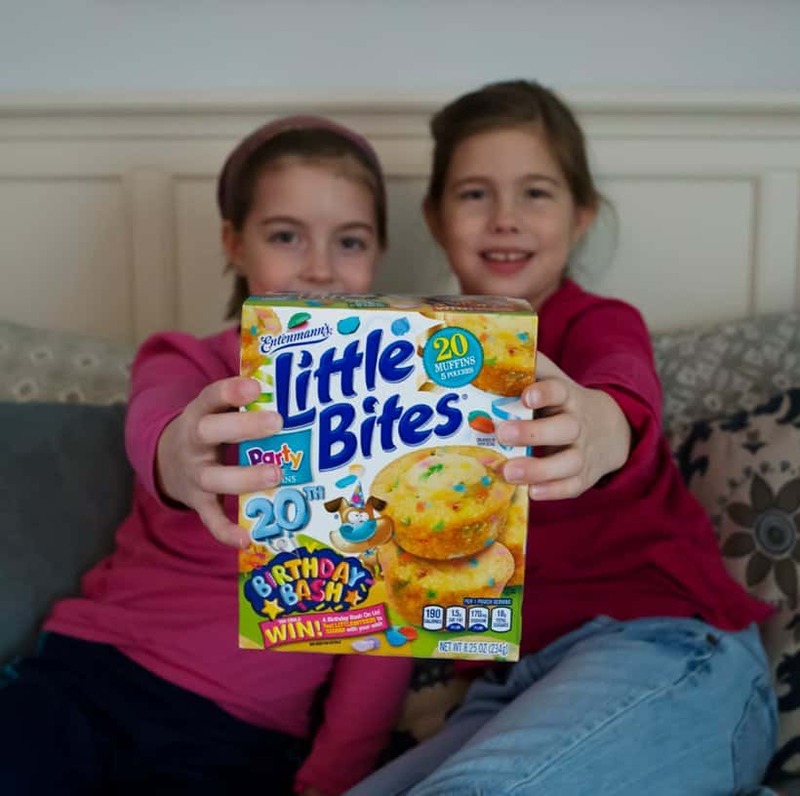 My little girls were so excited to wish Entenmann’s® Little Bites® a very happy birthday. 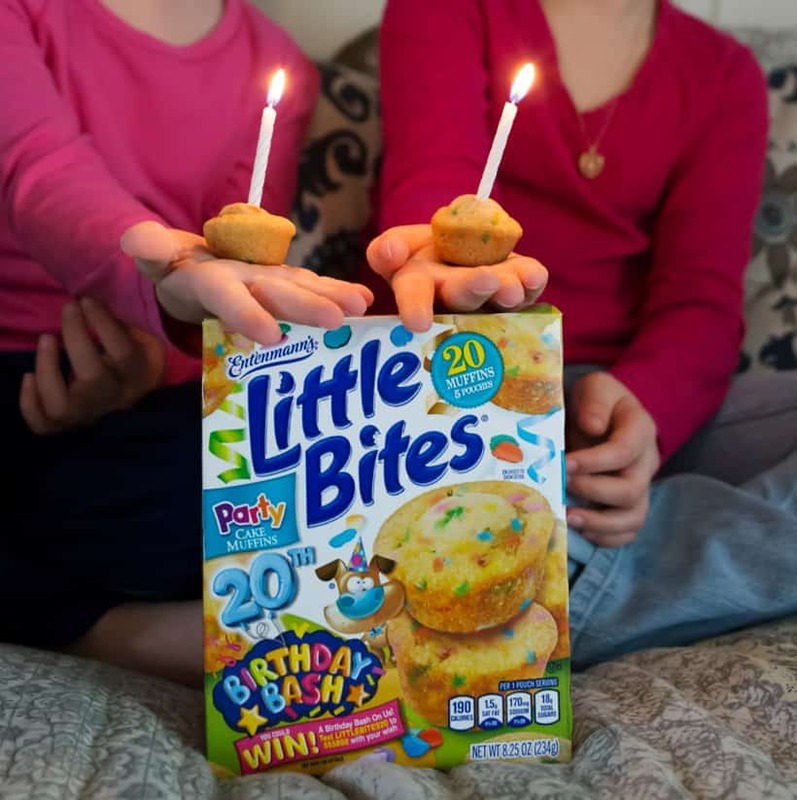 Be sure to enter the Birthday Bash Sweepstakes by March 29th, 2019 for a chance to win one of twenty Ultimate Prize Packs which will include a $500 donation to a charity of your choice, a $500 gift card for an ultimate birthday party for your child and a one-year supply of Little Bites® muffins! Little Bites will donate a dollar (up to $6500 total) to The Birthday Party Project, a national organization that hosts birthday parties for kids who are residing in homeless or transitional living facilities, for each entry! Now that you’ve entered to win the Ultimate Prize Pack, be sure to enter my Birthday Bash giveaway too! 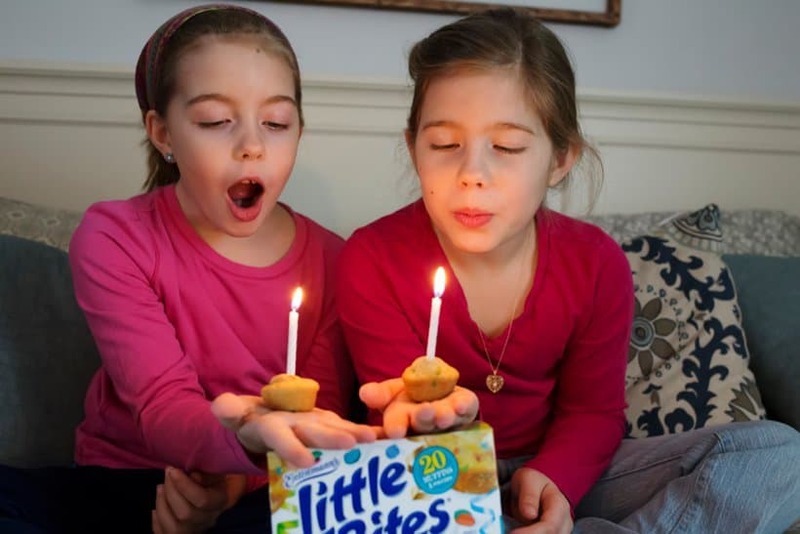 To celebrate the Birthday Bash and sweepstakes I’m giving away a $25 Visa gift card and three $5.00 off the purchase of any Entenmann’s® Little Bites® purchase coupons right here on Big Family Blessings! Giveaway begins immediately, and will close 4/01/19 at 11:59 pm. I love the chocolate chip muffins!! Truth is, I've never tried them, but I'm guessing I'd like the chocolate chip the best. Hi, I love the brownies. Thank you so much!! My favorite is the Party flavor. The seasonal churro muffins have my number right now. My kids love blueberry but I'm a sucker for the chocolate chip! Entenmanns Little Bites Blueberry Muffins are our favorites to snack on. I personally can't eat them because I have celiac but my boys love the chocolate chip! I love the chocolate chip and the banana ones. our favorite flavor is chocolate chip, my 3 year old really loves them! My favorite are the chocolate chip muffins. I love them! Little Bites Blueberry have always been my family's favorite...thanks for the opportunity. Little Bites Chocolate Chip are probably my favorite flavor. Its a classic. My son and I love the Blueberry flavor bites. Little Bites Blueberry Muffins are my favorite! yummy! My favorite Little Bites flavor are the snickerdoodle muffins! They are so good! We love the blueberry bites! YUM! My favorite Little Bites flavor is the mini brownies. My favorite is the crumb cake variety, especially after I warm it in the microwave for a few seconds. They just came out with a churro flavor that is very similar in taste to the crumb cake, but crumb cake is still my favorite. My favorite Little Bites flavor is blueberry muffins. We love the little bites crumb cakes the best but we love a lot of the other one too. I love the Brownie Bites, especially, but I like the blueberry, too...life is so hard, lol. We just love the blueberry muffin ones. I love the chocolate chip!! crumble cakes are my all time favorite. Little Bites Blueberry Little Bites Blueberry, but the Chocolate Chip are a close second! Blueberry hands down. Chocolate chip is good but I can eat the whole darn box of blueberry in one sitting. My top favorite flavor of Little Bites is the Crumb Cake. The chocolate chip ones are my favorite. We like the crumb cake ones. I definitely love the chocolate chips flavor! Love the classic chocolate chip muffins!